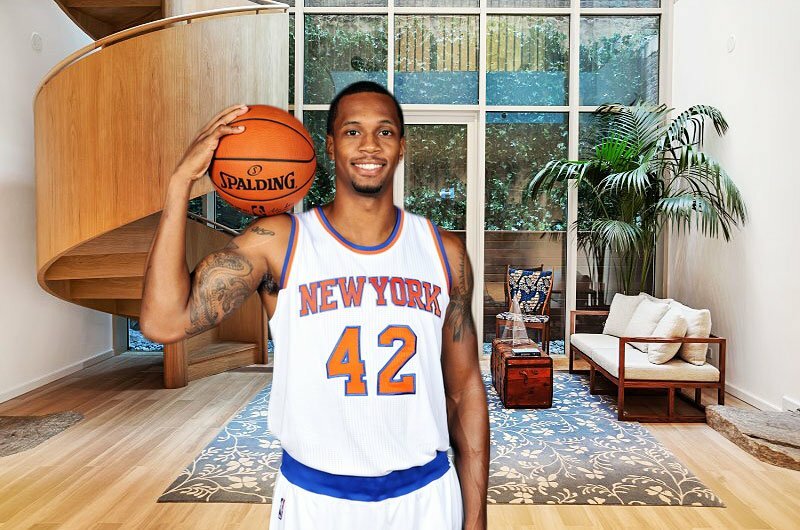 Lovers of the National Basketball Association (NBA) would be well acquainted with Lance Thomas, the American-born professional basketball player who is currently making a big bang with the New York Knicks in the forward position. He has created a niche for himself since his NBA Draft of 2010 and he is not relenting in his quest to get to the peak of his career. Thomas has been playing amateur basketball since high school and also played for Blue Devils men’s basketball team of Duke University where he started at power forward for the national champion team of 2010. He was part of the US national team that bagged a bronze medal at the Pan American Games of 2011, the next year, he joined the 2012 Men’s Select Team roster that trained against the 2012 USA Basketball Men’s National Team in Las Vegas, Nevada. Keep reading to know more about the basketballer’s bio, salary and career stats here. Thomas was born in Brooklyn, New York on the 24th of April 1988. The American basketballer whose ethnicity is black was born as the son of Lily Irvin Thomas (mother) who earns a living working as a head manager with Ford plant New Jersey. The identity of his dad is not known but it’s on record that he was raised by his single mother whom he is very close to. His early education was achieved at Scotch Plains-Fanwood High School where he spent two years before transferring to Saint’s Benedicts Preparatory School where he led the school to two Prep A Division New Jersey State titles. He proceeded to Duke University where he was very active in the college basketball team from 2006 to 2010. During his time with Austin Toros in 2010, he played in more than 2 seasons, a total of 65 games and recorded 13.4 average points with 6.2 rebounds and 1.3 assists in a game. From 2012 to 2013, Thomas played in a total of 59 games for the New Orleans Hornets, recording a 2.5 points average alongside a 1.9 rebound in a game. He was waived by the Hornets but came back in November and played 106 games over more than 3 seasons, making 3.0 points average that was accompanied with a 2.3 rebound, achieved within 12.4 minutes per game. During his stint with Foshan Dralions, Lance Thomas played from 2013 to 2014, recording a total average of 26.1 points alongside 1.0 assists, 10.8 rebounds and 1.6 steals in a game. The famed basketballer joined the Oklahoma City Thunder on the 29th day of September 2014. According to their head coach, Scott Brooks, Thomas is hardworking, has the capacity to play in multiple positions and gives his all to the game. 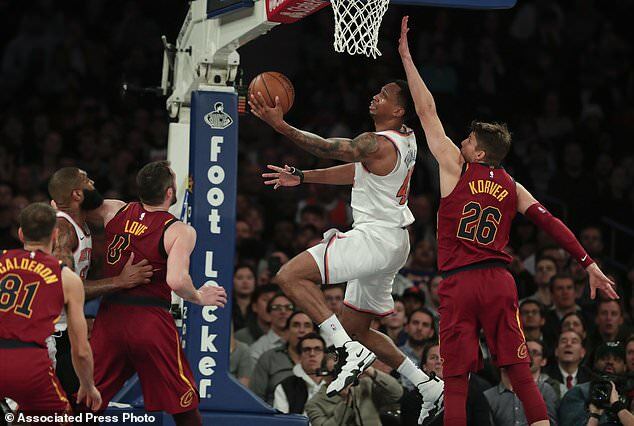 Lance Thomas has been with his present team, New York Knicks, since 2015 and last year, he recorded an average of 8.2 points with 2.2 rebounds in a game. Lance Thomas signed his first contract with the Austin Toros in 2010 and since then, he has gone into several contracts with teams like; the New Orleans Hornets in 2012, Foshan Dralions in 2013 and Oklahoma City Thunder in 2014. Presently, Thomas Lance is tied to his team, the New York Knicks, in a 4-year contract worth $27,549,950 including $27,549,950 guaranteed. His annual salary is pegged at $6,887,488. Between 2018 and 2019, his annual salary will shoot up to $7,119,650 with a cap hit of $7,119,650 and also a dead cap value of $8,119,650. The amazing forward stands at a gallant height of 6 feet 7 inches or 2.03m as is the norm with a basketball player. His corresponding body weight of 107 kg adds more to his imposing personality. The talented forward of the New York Knicks has bagged several awards and accolades in his NBA career like; NBA D-League All-Star which he bagged in 2012, McDonald’s All-American and Second-team Parade All America which he won in 2006 and in 2010, he won the NCCA Champion and ACC All-Defensive Team. Just like every other celebrity, Thomas has seen his fair share of controversies, like the case in September 2012 when a New York City jeweller accused him of owing a balance of $37,800 on the purchase of items worth $67,800 which he bought since December 2009 with a down payment of $30,000, however, they were able to settle the case later.